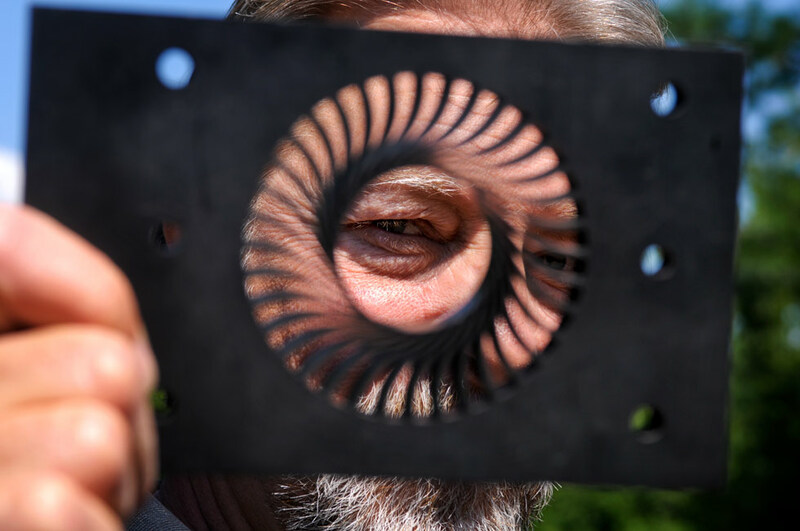 It’s always interesting to photograph Connecticut’s tool-making business since lots of these small shops create customized parts for the aerospace industry. Stumbling across a science-fiction looking tool or device can visually elevate an otherwise dry business assignment. Yesterday was no exception at Sirois Tool in Berlin. Alan Ortner, president of Sirois, was touring me around when he picked up this cool tool, an EDM (electrical discharge machining) graphite electrode. Just outside the back door of the shop floor, I asked him to hold it up so I could frame part of his face in the fans.